A collection of short essays from 17 very well-known authors who have a solid scientific background or renown within their ancestral traditions. What they have in common is that each one, within their discipline, is aiming to use water’s molecular structure and memory to improve our world. This book is connected to a worldwide movement which is going to organize at least four significant worldwide events during 2015 and 2016. The essayists themselves are part of this movement and readers can join too. They will experiment, for instance, with using intention to lower the radioactivity level of Fukushima’s water. It is a very young movement but one that has already generated much interest. 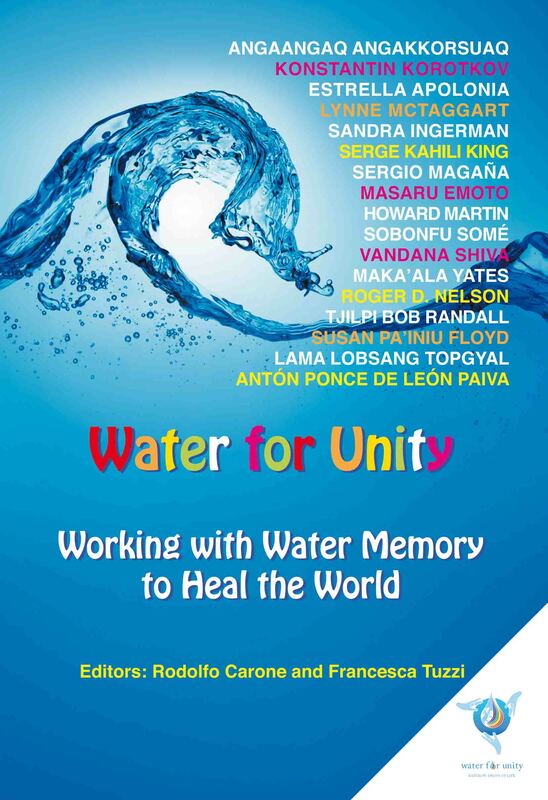 Water for Unity Project has won the prestigious Emoto Peace Prize. Please, click here to read the acceptance speech of project creators R. Carone and F. Tuzzi, and to watch some pictures captured during the prizegiving. Where to buy: bookmasters, amazon (UK), amazon (US).